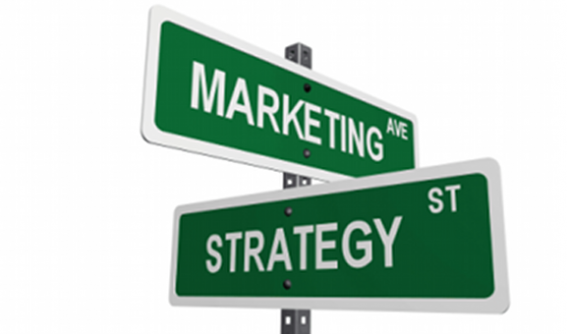 Thinking of Changing from Direct Sales to Inbound Marketing? I recently had a conversation with a very successful business owner regarding the changing of company marketing success. He has run a very successful direct sales company for the past twenty plus years and is now intrigued, curious would be the word he would use about how inbound marketing could change the scope and future of his business. This question is being asked by many, I assume, whom have built successful businesses using the old word marketing techniques (Newspaper, TV, Direct Sales). As we sat and discussed the future and the power of using inbound marketing strategies for the future of the company I became concerned for not only the directions our conversation was taking but what many executives may be doing to their now successful business model. Are they jumping ship for another vessel which will not carry as much load? My Point: Inbound Marketing, Social Media and Web-based marketing practices are great power pack of energy for a company, They can take a successful, well run business with the right vision and aptitude to fantastic new heights in business. They however are not the next bigger and greater thing for all companies. With out the proper foundation of business and support Inbound Marketing and Social Media are a lot like switching your Newspaper budgets to Radio and Dropping your core vehicle for marketing. It just never works, you get a new exciting single success in the meantime lose all your marketing momentum. Example: I ran the print marketing for a company in Boise Idaho in the late 90’s and I will never forget the mistake this business owner made. He had in the marketplace the number 2 furniture store in the Metro area at that time and ran a comprehensive marketing plan on TV and in Newspaper every week. His Audience expected him to be there. His largest competitive nightmare (RC Wiley) had just come to town and had already put several of his competitors out of business. His marketing strategy was working and he was actually gaining share in a more competitive market. He made a rash decision one day in early spring to drop his Newspaper Budget and sink into a New Radio Promotion with targeted Direct Mail. Long Story Short 30 days later he had his worst moth of sales in over 10 years, he immediate switched back to his original marketing and it took him over one year to get sales back to the same levels as before the rash decision. His audience did not know how to find him and perceived that in the new competitive market he was no longer a player and found alternatives. What are my goals and expectations – set clear-defined goals for growth in your company. Remember these tools are meant to add to the company’s current audience base, not become the new smaller more connected audience. Designate the proper staffing for your inbound marketing strategy. Asking your current team to add it to their plate or to switch their focus will only deteriorate the success you are already having and translate into a flat or the deterioration bottom line. Set realistic Time Tables for growth – Inbound Marketing is not Direct Mail, you can’t count success in a week. You must build the audience, nurture the audience and then feed the audience before it will grow. Keep working you already have a successful business model, don’t stop jump off the boat and swim for the other ship just because it looks exciting. Your current ship is already going the right direction. Inbound and social media marketing should just help you gain more speed and collect more passengers. Commit – You can not be successful in Inbound marketing by just signing up. You most commit to the process. You must provide content, provide service, launch multiple strategies and measure response and adjust, again and again. This is why it is important to dedicate a staff or agency to helping you work this engine. Inbound marketing and social media marketing demand active participation. So if trying to decide how to enhance your direct sales team with inbound marketing is your mission, Go for it. You will see great success and a big potential for success. If you goal is to turn inbound marketing into your new sales company, caution, you make be jumping off into a smaller vessel that is not meant to take you on the long journey of success.